When you visit Libya it’s required that a personal guide is travelling with you. The guide can drive with you in your car or in a car of his own. We can adjust this tour to your wishes. 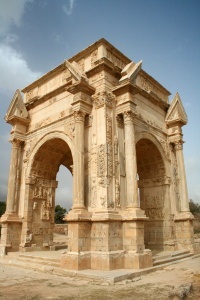 Meet your private guide at the border and drive to UNESCO World Heritage site Sabratha. 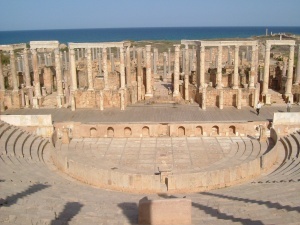 Sabratha was originally founded in the 4th century BC. It later fell under Greek influence before Rome took hold in the 1st century AD. The most spectacular monument is the Theatre, featuring 108 Corinthian columns rising to a height of twenty metres above the stage. Below the stage you will see marble friezes depicting mythological figures including, inter alia, the Three Graces, the Judgement of Paris and the Nine Muses. We also see the Punic Mausoleum of Bes, the Temple of Antoninus, the Temple of Zeus, the Court of Justice and the great Roman Forum. 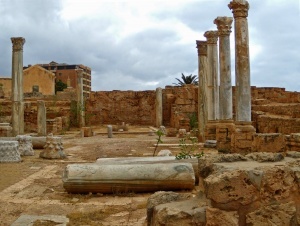 After visiting Sabratha we drive to Tripoli to check in the hotel and the rest of the day you can explore Tripoli singly. On this day we will explore Libya’s capital city Tripoli by foot. In the morning, we visit the wonderful National Museum which includes one of the finest collections of statuary and mosaics in the world. The walled old town of Tripoli encloses, arguably, the most charming medina in all of North Africa. After lunch in an old town restaurant, we’ll explore the warren of streets and alleyways, including the bustling souks, each devoted to a different trade, the historic house of the 18th century governor Karamanli, the Karamanli Mosque, the 16th century Dragut Mosque, burial place of the famous pirate of that name, the 19th century Gorgi Mosque, the 18th century former British Consulate, the former Turkish Prison, now a school, St. George’s Orthodox Church, the 19th century Ottoman clock tower and the sole surviving building of Roman Oea, the 2nd century Arch of Marcus Aurelius. After exploring the old city we drive to Al Khums. Here you will stay for the night. 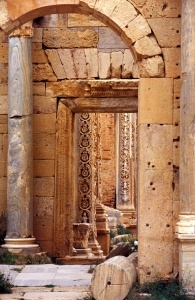 Today you will visit one of the largest and best-preserved Roman city in the world ‘’Leptis Magna ‘’. (UNESO World Heritage Site) The city came to prominence in the 2nd century AD under its native son, the Emperor Septimus Severus. Following his reign, the city fell into decline until revived by the Emperor Justinian in the 5th century AD at which time it fell under Byzantine rule. The vast site is truly spectacular and includes the triumphal Arch of Septimus Severus, the Hadrianic Baths complex, the Palaestra (Athletics Ground), the Nymphaeum (Temple of Nymphs), the huge Imperial Forum, the Basilica, the Arches of Tiberius and Trajan, the Theatre with its beautiful backdrop against the Mediterranean Sea, the Sanctuary of the Divine Emperors, and the Market with its unique kiosks which, at the time of construction, were a groundbreaking design in the Roman world. In the eastern part of the city lie the Circus and the vast Amphitheatre, the most complete in the world, with seating for over 15,000 spectators. You will visit the vast arena, the terraces, gladiators’ anterooms and animal enclosures. You will stay for the night in the same hotel. 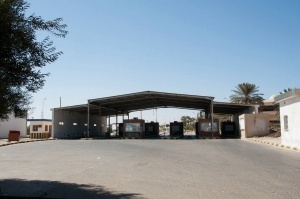 We will leave early morning to drive the whole day to Ajdabiya were you well spent the night. Of course we will stop along the way to refresh and have a lunch. Day 5 Ajdabiya – Cyrene. In the morning we drive towards the Cyrene area. Along the way we will stop at intereting places that you must see such as: Tokra. This was one of the five cities of the Greek Pentapolis. The village suitably located between the mountains and the sea is a wonderful Libyan village providing breathtaking scenery and landscape. Ptolemais, and Apollonia that served as a port of Cyrene. 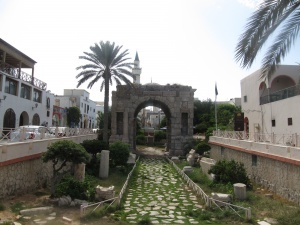 Throughout the years Apollonia became a significant commercial centre in the Mediterranean. The area consist of a beach cut by rugged rocks, inlands there are hills all giving Apollonia a very nice setting. The Theatre is sited in a particularly picturesque location by the sea. 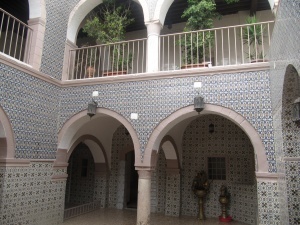 Other buildings include the Eastern, Central, Western Basilicas and the Byzantine Palace. We will overnight in a tourist resort located in the mountains of Cyrenaica. 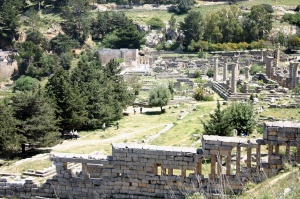 Full day excursion to the magnificent Greek city of Cyrene (UNESCO), founded in the 6th century BC by immigrants from the Greek island of Thera. The city reached its zenith in the 4th century BC, was ruled by the Ptolemies from the 3rd century BC and fell under Roman rule in the 1st century CD. 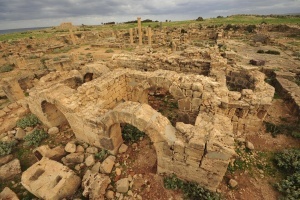 Two major earthquakes in the 3rd and 4th centuries AD sealed its fate. 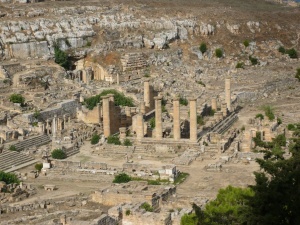 Amongst the sites visited in Cyrene are the colossal Temple of Zeus, larger than the Parthenon in Athens, the hillside Necropolis containing over 2000 tombs, the Forum, the monumental passageway of Hermes and Hercules, House of the High Priest Jason Magnus, the House of the Christian Hesychius, the Agora (with its Tomb of Battus, Sanctuary of Demeter and Kore and Naval Monument), the Sanctuary of Apollo containing the Temple of Apollo and the Roman Baths, and the Amphitheatre. We will continue the route along the coast to the border of Egypt. You will arrive here at the end of the day. It’s possible to book an extra overnight in or near Tobruk and visit the WWII sites.